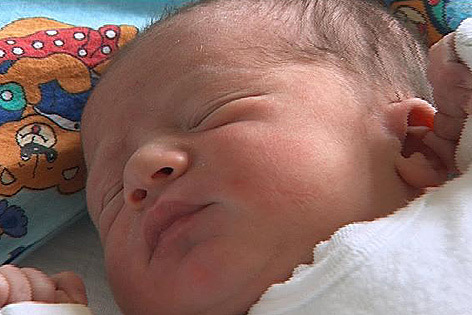 David from Innsbruck was the first Austrian baby who was born in 2013 , just 5 minutes after midnight. He is the first child of Sylvia and Thomas. David was followed by Dominik from Lower Austria, who was born 9 minutes past midnight. The first girl arrived at O:14 and is named Amelie Johanna. In the following part I have listed the New Year Babies from all Austrian states. I have just found the names of the first babies, who were born in 2012 in Austria. The first newborn was the girl from the state Voralberg. She was born 4 minutes past midnight. Followed closely by the babies from Burgenland and Carinthia. The last child was born at 3.21 am and is from Lower Austria.